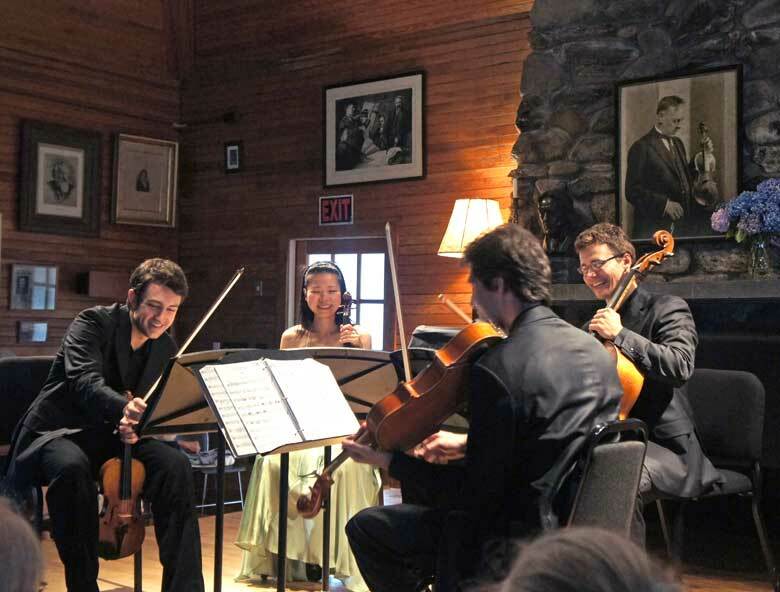 The distinguished music school, Kneisel Hall in Blue Hill, Maine, traces its beginnings to the arrival of the twenty-year-old Franz Kneisel, who came to the United States from Berlin in 1885, at the invitation of Henry Higginson, to become concertmaster of the Boston Symphony Orchestra. Concomitantly, Kneisel started his string quartet, which, along with the Flonzaley, became known as the finest in America. Under the current artistic director, pianist Seymour Lipkin, Kneisel Hall continues the master’s tradition. In addition to coaching performers, Kneisel Hall offers a distinguished concert series performed by staff, guests, and illustrious alumns, including, this time, two members of the ensemble, whom this wandering correspondent heard on August 21 at the festival’s charming summer camp-style music hall, a sonorous 35-ft. square-ish space covered entirely with beaded tongue-in- groove fir and dominated at one end by a glowering moosehead and at the other by a fieldstone fireplace. The acoustic was warm for those inside as well as for the overflow crowd on the enclosed wrap-around porch. The Escher String Quartet — violinists Adam Barnett-Hart and Wu Jie, violist Pierre Lapointe, and cellist Dane Johansen presented a shapely program. Mendelssohn’s op 13, entitled “Ist es wahr? (Is it True? , based on a Mendelssohn ditty rather than a cosmic question) is often paired with a late Beethoven quartet, op. 95 or op. 135, “Muss es sein?” (Must it Be? —certainly an existential inquiry), usually relegating Mendelssohn to a warm-up role. In this performance, the convincing programming decision was made to pair the Mendelssohn with the early Beethoven Quartet, op. 18 no. 2. That resulted in placing the early Beethoven in the position of the program opener with the Mendelssohn as the closer. With the Mendelssohn op.13, no.2 (actually Mendelssohn’s first string quartet) as the closer — and no invidious comparison with the late Beethoven implied, audience and performers alike could revel in the eighteen-year-old composer’s unbridled emotions: no classical restraint here. The adagio opening was boldly stated and the fugato section (repeated in the second movement) was well spun, even though I unfortunately could not get that nursery rhyme out of my head. The fairy scherzo is one of Mendelssohn’s best, and it was a frothy number, for sure. And at the end we return where we began, with an even more dramatic though harmonically less far-reaching restatement of the opening theme. The Escher was armed for bear and bagged same. We very much look forward to hearing the group again. Two concerts remain in the Kneisel Festival, A Far Cry on August 26 and 28 and the N-E-W Trio on September 24. Lee Eiseman, publisher of the Boston Musical Intelligencer, has been making musical things happen in Boston for close to forty years. 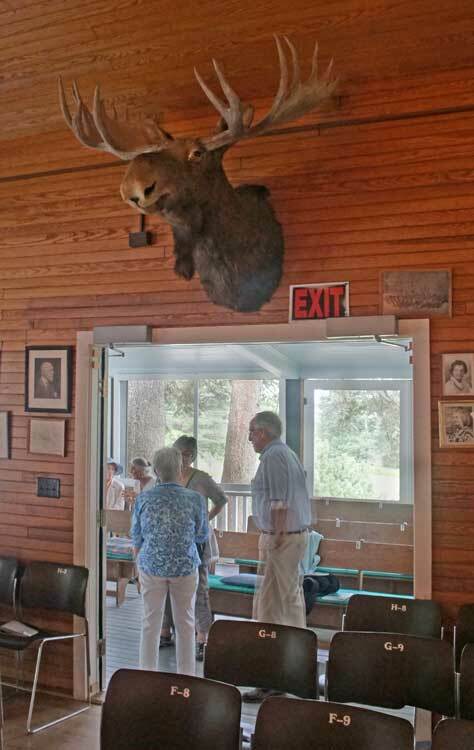 Kneisel Hall is a wonderful place to hear chamber music (and a bear to record in.) While the hall is intimate, as any chamber venue should be, I think the dimensions cited above (“35-ft. square-ish space”) must refer to a closet somewhere where music stands are stored.